As children transition from childhood, through adolescence, into adulthood, not only does their social universe undergo change but they face a multitude of physical, emotional, social, and cognitive changes.The arrival of puberty triggers an abrupt series of changes such as growth spurts and maturation, a shifting identity, a need for emotional autonomy, and the beginning of sexual impulses and gender identities. This transitional period of rapid change and heightened vulnerability considerably influence the sexual and reproductive health and rights. In India, children including adolescents have a striking lack of knowledge, agency, self-efficacy and decision-making power – all critical measures of empowerment – that impact their sexual and reproductive health. It is important that young people understand what growing up means and how and why this period places them at risk. Adolescent sexual and reproductive health refers to the physical and emotional well being of adolescents and includes their ability to remain free from unwanted pregnancy, unsafe abortion, Sexually Transmitted Infections (including HIV/AIDS), and all forms of sexual violence and coercion. 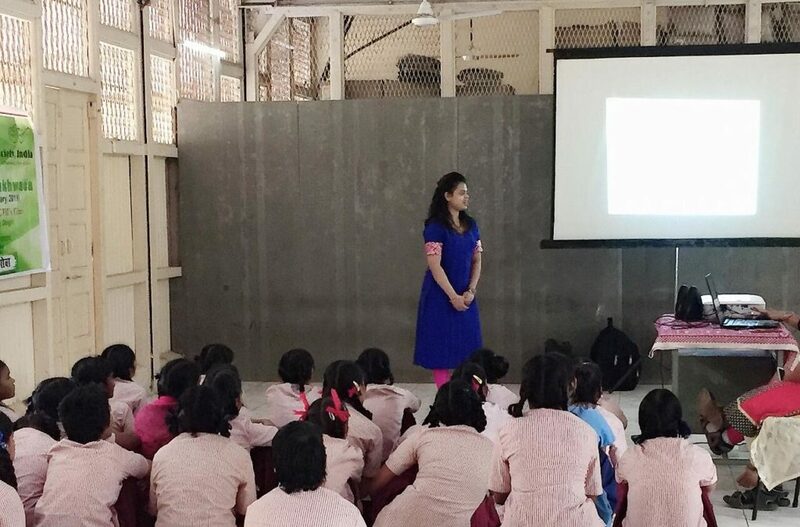 CCDT as part of its Program for Children in Contact with Railway Stations organized sessions on ‘Reproductive Health’ in the Children’s Home at Mankhurd and Dongri and addressed 296 children in smaller groups of girls and boys on this topic. The aim of the session was to facilitate an understanding on one’s body (body parts, their functions and care, physical changes during growing up) and about safe and unsafe touch. From childhood to adolescence the body undergo many changes. Although these changes are part of the normal growing up, sometimes they cause anxiety and distress largely due to the lack of knowledge. Thus, with the help of power point presentation children were helped to understand these changes in girls and boys as they grow up. Thereafter, an activity of body mapping was conducted with children, were children drew an outline map of a body and then the various body parts. Thereafter, a discussion on the different body parts and their functions was carried out. The children were then asked to draw private body (reproductive) parts. The children giggled and were hesitant to draw at first. Facilitators made the children comfortable, after which children drew and named each organ. Then, the need of these reproductive organs, the importance of and how to maintain its hygiene were discussed. Girls were specifically informed about the menstrual cycle and myths and facts linked with it as well as the importance of maintaining hygiene during those days. A discussion on childhood not being the legal and appropriate age to engage in sexual activity was held with adolescent boys and girls. In today’s times, cases of child abuse and molestation are common to hear. Thus, in order to ensure child protection it is imperative to enable the children to understand the difference between safe and unsafe touch. A short audio-visual was screened for children to understand safe and unsafe touch and measures to be taken when faced with unsafe touch. Guidance and conversations regarding safe touch help children improve safety skills, body awareness, assertiveness, and confidence. It can help children seek timely help when faced with an abusive situation. The session ended with addressing the doubts and queries of the children.